This ministry discussed topics from scripture to Church history to Theology. If you interested in getting involved in Adult Bible Studies and College Level Course or would like more information please contact Joanie Maitilasso by phone at (619) 442-1697 or email HERE. Altar Serving at The Church of St. Luke is a ministry that servers the entire community of the Church. In order to get involved you need to have received the sacrament of First Communion and be at least in grade 4. Open to boys and girls, the ministry involves serving the altar and assisting the clergy with necessary preparations for mass. We develop personal growth and a solid bond with our Catholic faith through our actions on the altar and in daily life. If you have any questions regarding Altar Server's or would like to get involved please contact Dcn. Allan Williams by phone at (619) 442-1697 or by email HERE. This ministry helps individuals identify the Lord's action in their lives, help them listen and respond to the Holy Spirits's urgings, and live our their relationship with the Lord within the community through our Sunday Eucharist Gathering. If you interested in getting involved in the Annual Parish Discipleship Retreat or would like more information please contact Carol Stone by phone at (619) 442-1697 or email HERE. This ministry is a method of contemplative prayer or Christian meditation which places a strong emphasis on interior silence. Weekly prayer sessions are held at St. Luke. If you interested in getting involved in Centering Prayer or would like more information please contact Carole Morales by phone at (619) 442-1697 or email HERE. The ministry provides children, preschool to 5th grade, with age-appropriate experience of God's Word. The children are dismissed from both the 9am and 11:30 am masses to learn about God's message in a near-by classroom and return prior to the Liturgy of the Eucharist during mass. The Church Cleaning Crew meets the last Monday of each month in the Baptistry to clean the interior of the church including the Sacristy(s), Church Gathering Space, and the Baptistry among others. If you interested in working with the Church Cleaning Crew or would like more information please contact Peggy Nelson by phone at (619) 442-1697 or email HERE. This ministry takes place the first Friday of each month, beginning at 8 am, is set aside for prayer before the Blessed Sacrament ending at 5 pm, with Closing Benediction. This is a time when prayers for vocations to the priesthood, our families, the Church, and the world are said. You are invited to come by anytime during the day or sign up for a particular hour each month, setting that time aside to be with our Lord who is present on the Altar in the Blessed Sacrament. If you interested in getting involved in Eucharistic Adoration or would like more information please contact Cindy Christmas or Mike Wasyliw by phone at (619) 442-1697 or email HERE. Eucharistic ministers serve the parish by assisting the clergy in administering the Eucharist at mass and holy days of obligation. In addition to serving at mass and assisting the clergy, ministers bring Communion to the sick and homebound. Eucharistic ministers must be dedicated parishioners who have received the sacrament of Confirmation, love the Eucharist, and are willing to accept responsibility when called to serve. If you interested in becoming a Eucharistic Minister or would like more information please contact Linda Jacobson by phone at (619) 442-1697 or email HERE. 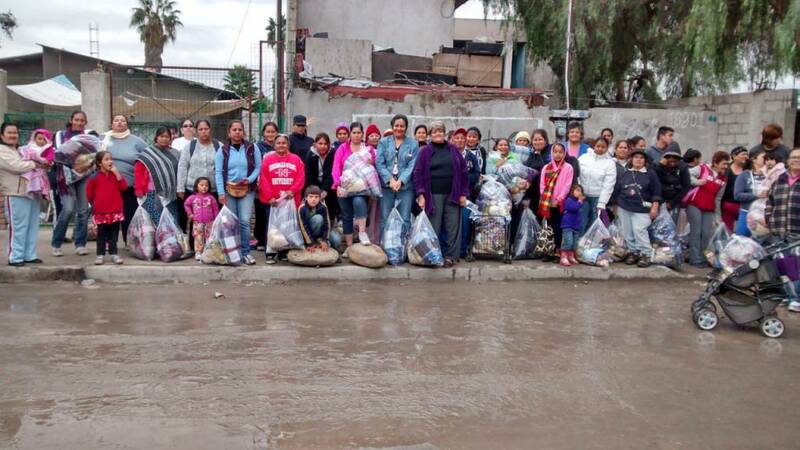 This group helps the poorest of the poor in Tijuana: 150 families, orphans, elderly, migrants, the infirm, drug and alcohol dependents, developmentally disabled persons, burned and crippled children, etc. We work closely with the Mother Teresa's Fathers and Sisters, The Mexican Red Cross, two Catholic hospitals and one clinic. We help provide medical, dental and ophthalmology services (including major surgeries), lab tests, and medicines. We assist Kindergartens, Elementary and High Schools, both Catholic and Government/Parent co-ops, by providing school supplies, registration, uniforms, books, furniture, plus supplying library books in Spanish. We also provide: building, rebuilding and repairing homes, weekly grocery bags for 56 families, and annual basket drive. In tact we help three orders of cloistered nuns; migrants, dependency rehabilitation center, and schools. If you interested in getting involved in Friends of the Poor or would like more information please contact Martha Evans by phone at (619) 442-1697 or email HERE. Open to practicing Catholic men age 18 years and older to foster support for their pastor and parish. The Knights of Columbus is a world wide organization that promotes Catholic education and charity, provides education and homes for Catholic orphans, endows scholarships in Catholic colleges, provides lectures on Catholic doctrine, endows hospital beds, and provides for its sick and retired members. In the local community, the Knights provide support for the pastor, sponsor local events both in the church and in the community, an provide help and funds for the needy. Meetings are the second Wednesday of each month. If you interested in becoming a Knight or would like more information please contact Don Mercurio, G.K. by phone at (619) 442-1697 or email HERE. The goal of the lector is to read the Word of God aloud so that the listeners can "hear the Word clearly, understand its meaning, and can be moved into depths of their hearts by the revelation of God." The lector must have strong faith in the Word, commitment to the study and understanding of scripture, and the proclamation skills to communicate the meaning of the written text in the sound of his or her own voice. This ministry is open to all men, women and young adults who have been confirmed. If you interested in becoming a Lector or would like more information please contact the Susan Smothers by phone at (619) 442-1697 or email HERE. Trained Lay Ministers who either assist Fr. Ron at Mass or celebrate the Liturgy of the Word with Communion and visit with the senior residents. If you interested in participating in Ministry to Assisted Living/Retirement Centers or would like more information please contact Pat Riggs by phone at (619) 442-1697. Trained lay ministers who are interested in brining the Eucharist to parishioners homes are welcomed to get involved. If you interested in participating in Ministry to the Sick & Homebound or would like more information please contact Dcn. Jerry Stenovec by phone at (619) 442-1697 or email HERE. Cantors, choir members, and instrumentalists who encourage and enhance community singing are welcomed to join. The Music Ministry has weekly practice and is involved in all masses that take place at The Church of St. Luke with a variety of members at each event based on availability. If you interested in participating in Music Ministry or would like more information please contact Colin McColl by phone at (619) 442-1697 or email HERE. This ministry coordinates our assistance efforts to needy parishioners and community members. If you are interested in participating in the Outreach Committee or would like more information please contact Ken Stempien by phone at (619) 442-1697. Gift cards are at the scrip table after every mass on the first and last weekends of the month. 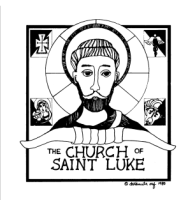 If you would like proceeds from your purchases on Amazon.com to go to The Church of St. Luke, please visit www.smile.amazon.com/ch/27-3946904 to register. Once registered, please use the website www.smile.amazon.com to complete all of your shopping in support of the parish. You can place an large order using our Scrip Order Form. Please submit the form, with a check, to the scrip table. Click HERE to access the Scrip Order Form. If you are interested in getting involved in Scrip or would like more information please contact Ed Broadhurst by email HERE. Ushers may be men, women, or confirmed youth who are interested in welcoming and greeting people, help distribute the bulletin, and assist through various duties throughout the Sunday liturgy. If you interested in becoming an Usher or would like more information please contact George Heidenriech by phone at (619) 442-1697 or email HERE.